As the increasing number of Mainland China students study in Taiwan, the organization of Main-land China students is dynamic: More students association in the name of city and province is es-tablishing, while the schools’ association limited by several issues, for example, appropriation, lack of innovation, poor management. The lack of creativity of organization is the important rea-son of the decline in schools’ association. 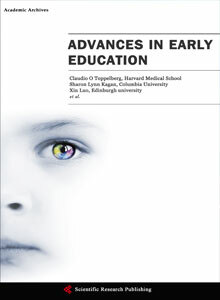 This paper is the first research in Mainland China stu-dents’ association, which is also one of the very few reflections in foreign students’ association. 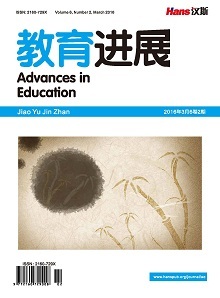 This research uses the example of Ningbo students’ association, which is the “new power” of Mainland China students in the view of learning organization. 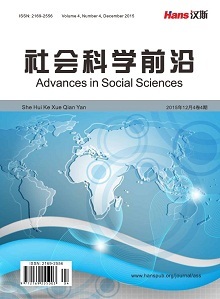 The research describes the estab-lishing and developing of the association to compare with the other Mainland China students’ as-sociation, focus on their structure, activities, and analyze the innovation and the elements and condition of creativity. This research also reflects the creativity of organization developing and provides suggestion and reference for Mainland China student’ association. 彼得•圣吉. 第五项修炼——学习型组织的的艺术与实践[M]. 张成林, 译. 北京: 中信出版社, 2009. Sternberg, R.J. (2001). What Is the Common Thread of Creativity? American Psychologist, 56, 360-362. 詹志禹. 人类的创造力从何而来[J]. 科学人杂志, 2005(45): 38-41. 詹志禹. 影响创造力的相关因素——从小学教育环境与脉络来考量[J]. 学生辅导, 2002, 79(3): 32-47. 华耀军. 如何培养高职学生创新力[J]. 北方经贸, 2011(12): 154-155. 李云祥, 宋铁桥, 李军. 对学生创新能力培养的探索[J]. 职教论坛, 2004(4): 4-5. 朱祥. 谈学生创新能力的培养[J]. 职教论坛, 2004(8): 26. 徐遵, 鲁爱民. “产学研合作”平台对培养学生创新能力的作用[J]. 职教论坛, 2011(8): 70-72. 秦梦群, 黄贞裕. 教育行政研究方法论[M]. 台北: 五南图书出版公司, 2014. 牛继舜. 共同愿景的建立方法探析[J]. 现代管理科学, 2005(4): 35-36. 熊燕. 团队学习中习惯性防卫研究[D]: [硕士学位论文]. 上海: 华东师范大学, 2006.